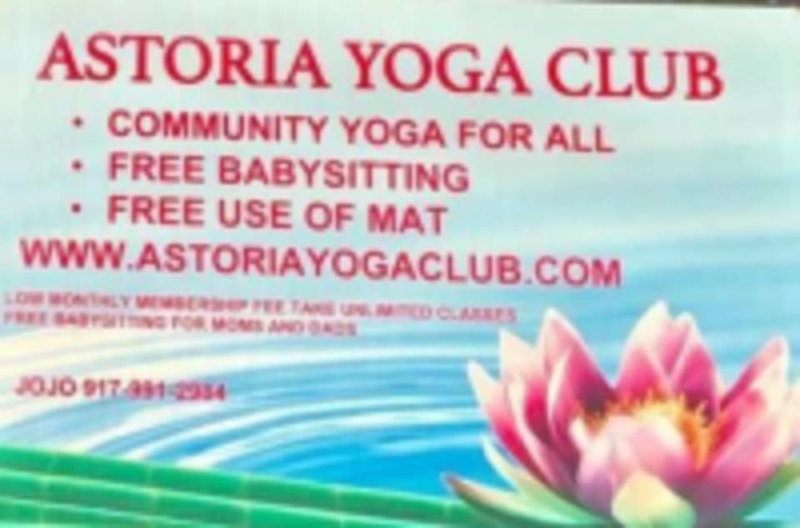 Start taking classes at Astoria Yoga Club and other studios! Astoria Yoga Club was founded to provide the Astoria community all that yoga can offer, from improved flexibility and better physical health to peace at mind and an enriched soul. Come in today for a class!We have daily classes for mom's and dad's to relax while we babysit in the next room. Free water and tea. All our teachers are wonderful and caring. We are a community of Yoga teachers and we dedicate our time to making sure you are getting the best yoga experience. All our classes are great for beginners and anyone who loves to practice yoga. We have babysitting for and extra $10 please reserve your spot and call us at 917-991-2984. Liked the stretching and poses. The instructor was a sub, not Kendall (Who was awesome when I took her class). Really disliked how the sub structured the class with deep hamstring stretches and hip openers in the first ten minutes of class. Personal preference, I’m sure, but I would’ve liked to know ahead of time that the instructor had been switched. Was a small and intimate studio - but the class was great and offered variations for those that wanted more/less of a challenge. Joanna was very welcoming, and funny too! The class was great! Relaxing and restorative, exactly what I needed. Joanna hit all of the points from hip openers to balance poses all while maintaining a calming atmosphere. Would highly recommend. Fun, interesting class that combines yoga with weight training exercises. Joanna is great and I love the calm, candlelit atmosphere in the studio during the night classes. It’s a way to change up your normal yoga routine. Im so so sorry for the confusion our mind and body class is an open level class. Our restorative classes will say restorative. The word "Restore" can be a little misleading again I apologize for the confusion. Good mellow yoga. Cozy and welcoming studio. FYI scented candles are used during class for those who are sensitive. This is a very gentle class. Not really sure if it’s best for toning but it was relaxing! Hello and thank you for your feedback out of curiosity was it Tuesday night? Or Sunday night?